It's looking more and more likely that a new Paul McCartney album is heading our way – possibly even as soon as this Friday. Footage has emerged of the Beatles legend debuting a brand new song called "Come On to Me" during his recent surprise show at a small pub in Liverpool. "This hasn't been released yet. ... It's the first time we played it for anybody," McCartney says before he and his band count into the appealingly choppy rocker. Meanwhile, in the middle of a news report about the show and song from The Daily Edition, the reporter states that McCartney will release a new album "this Friday" (apparently meaning June 15). There has been no official confirmation of this report yet or any word on the record's title or track listing. Back in January, during a Q&A on his official website, McCartney noted that he was "putting the finishing touches" on a new album, which would be his 17th solo studio LP and his first since 2013's New. McCartney's recent concert – on June 9 at his childhood hometown's Philharmonic pub – was part of a flurry of activity that included sightseeing and the taping of an episode of Carpool Karaoke with The Late Late Show host James Corden. It was confirmed today that McCartney's Karaoke appearance will air at some point next week. The day after the Liverpool show, McCartney shared a mysterious hand-drawn image across all of his social media platforms, and since then he's been sharing daily uncaptioned recording studio photographs. 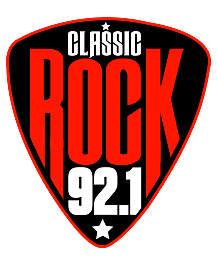 2019 Classic Rock 92.1 is part of the Loudwire Network, Townsquare Media, Inc. All rights reserved.